Bridge Street Live is proud to announce one of America's GREATEST BLUES performers will be hitting our stage. 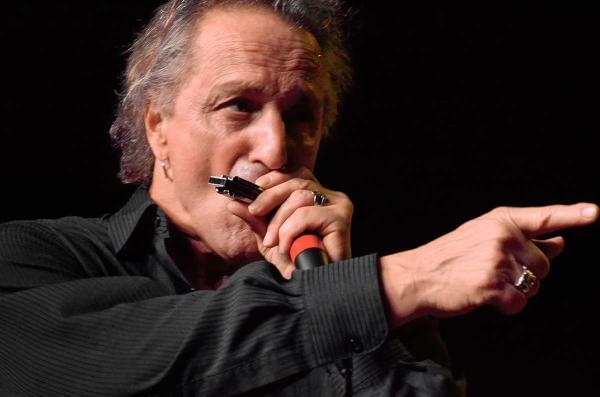 James Montgomery (born May 12, 1949) is an American blues musician, best known as the lead singer, blues harp player, frontman, and bandleader of The James Montgomery Blues Band (a.k.a. The James Montgomery Band). Montgomery collaborates and has toured with many artists, including Aerosmith, The J. Geils Band, Bonnie Raitt, Bruce Springsteen, The Allman Brothers, The Steve Miller Band, The Johnny Winter Band, The Blues Brothers with (Jim Belushi and Dan Aykroyd) and others. In 1970 Montgomery formed The James Montgomery Band. His harmonica playing, singing and energetic stage show led to his band gaining a reputation as one of the hottest bands on the New England music scene. James Montgomery was signed by Capricorn Records to a multi-album deal and released his first vinyl LP album titled The James Montgomery Band – First Time Out in 1973. Since then he has paved the way in history as one of America's greatest blues performers, and we are honored to have him perform on our stage.